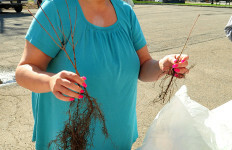 Terri Speizer from Hopatcong checks out her new saplings. 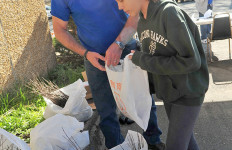 Hopatcong committeeman and environmental commission member Rich Schindelar and daughter Shea, 11, bag trees for a resident. 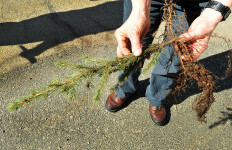 Environmental commission member Rich Schindelar and commission president Jule Girman bag a Norway spruce for a resident. 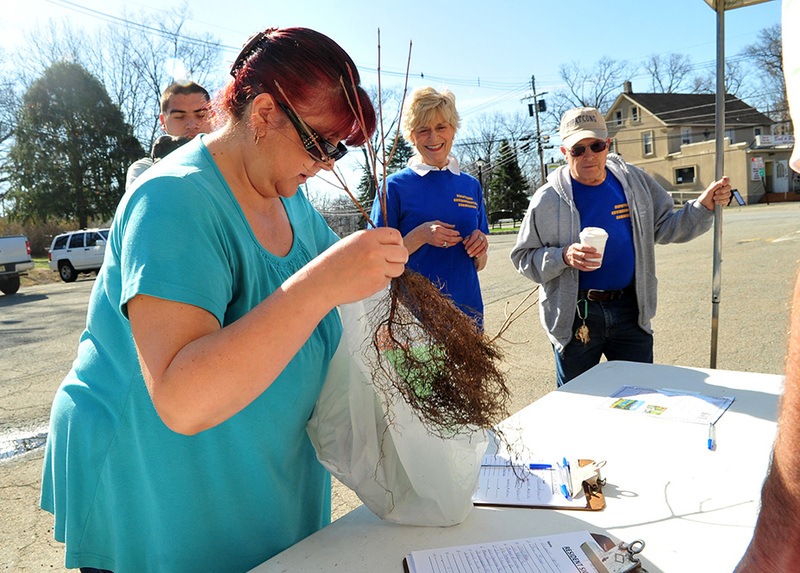 Terri Speizer from Hopatcong holds her new saplings as she talks to a member of the environmental commission. 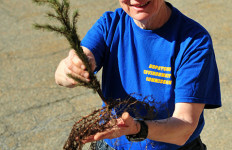 A Norway spruce sapling held by Georgia Schilling, a member of the environmental commission. 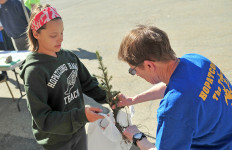 A Norway spruce sapling is bagged by Shea Schindelar, 11, and Georgia Schilling, a member of the environmental commission. 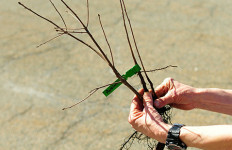 Three of the saplings distributed. Dolores Ferris picks out trees with her son David. She went home with a few dogwoods. Lake Hopatcong News is a site dedicated to informing, protecting, and celebrating the Lake Hopatcong community. With regularly updated news stories, personalities, thoroughly researched history articles, and business listings, it is a place where lake residents from Hopatcong, Jefferson, Mt. Arlington, and Roxbury—Morris County and Sussex County—can gather, to tell their stories, and to learn about all that’s going on in and around Lake Hopatcong. ©2013 Lake Hopatcong News. Website Design + Development by JasonHunter Design.